Who were the athletes behind 1980's Miracle on Ice? The Miracle on Ice, that legendary 1980 Olympic hockey team coup in the XIII Winter Games—among those who witnessed it, who can ever forget it? Here's what happened and a nod to the athletes who made it happen. The Cold War was alive and well in February 1980 as the Soviets fought in Afghanistan. But weapons were put aside for the Olympic Games held in Lake Placid, New York that year—sort of. The United States sent a bunch of college students out onto the ice, the youngest team ever in U.S. Olympics history. The Soviet Union's team was comprised of professional athletes temporarily reclassified as "amateurs" for the sake of the games. This USSR team had totally embarrassed the U.S. students just a few weeks earlier in an exhibition game at Madison Square Garden. The Lake Placid matchup had all the earmarks of a bloodbath, but the U.S. team beat Russia in this meeting, ultimately depriving the Soviets of the gold medal that everyone was so sure they would attain. But the Miracle on Ice wasn't actually the gold medal game. 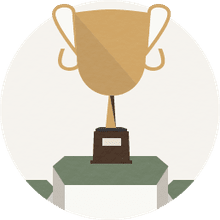 It was the first game of the medal round. The Americans, the Soviets, Finland and Sweden all advanced to the medal round at those games. Winning the game against Russia earned the U.S. two points, but it was by no means an easy coup. The teams were tied 2-2 at the end of the first period. The U.S. was definitely in the game, something many "experts" had never dreamed possible. Russia pulled ahead in the second period, leading 3-2. Then the U.S. amateurs scored two more goals in the third period to achieve a narrow 4-3 lead. They hung on to win the game. The U.S. had already tied with Sweden in a previous game in the round, earning one point. Russia beat Finland, earning two points. 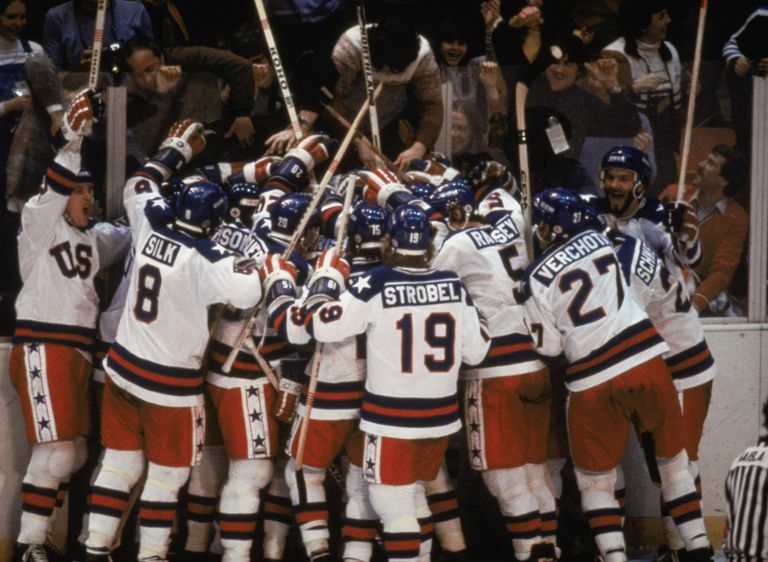 Next came the Miracle on Ice with the U.S. hockey players literally astounding the world. The win gave the U.S. a total of three points, and their loss to the Americans left the USSR still with just two points. Then the Russians beat Sweden two days later, amassing four points that could beat the U.S.A. if the Americans subsequently lost to Finland. Such a U.S. loss would have left Russia with four points and the U.S. with three. But that didn't happen. The U.S. beat Finland, earning two points, giving them five against Russia's four. The Americans took home the gold medal. The Soviets got silver. Jim McVay, hosting ABC's Wide World of Sports at the time, called America's 4-3 Miracle on Ice triumph over the Russians "the greatest upset in sports history." And, of course, Al Michaels made history himself when he exclaimed during ABC's telecast, "Do you believe in miracles? Yes!" Sports Illustrated declared the win to be the top sports moment of the 20th century. So who were these guys, the American amateur college-level hockey players? Here are their names, listed by their positions, their ages in 1980, their hometowns, and their colleges in brackets.